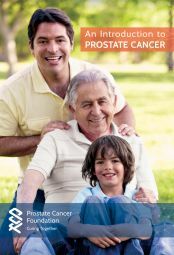 PCF publishes a series of helpful guides as part of our commitment to connect men and their loved ones to the latest prostate cancer research information. You can order or download these guides here. 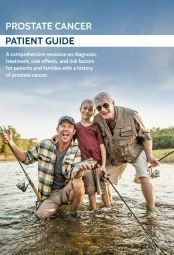 The updated 2019 Patient Guide is here. 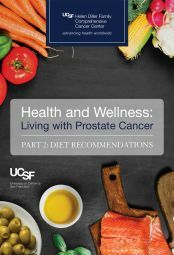 Compiled with the contributions of top-tier doctors and researchers in prostate cancer, it is a must-have resource for patients and families. 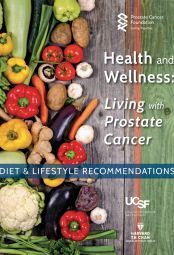 It focuses all of the information available about contemporary prostate cancer research, treatment, and lifestyle factors into one consolidated document. It is for any man who has been newly diagnosed, who is in treatment, or is concerned about a rising PSA. Beyond that, it’s for any loved one or caregiver who wants to cut through the information noise and get directly to need-to-know information for prostate cancer patient navigation. Lastly, as we are beginning to recognize the genetic underpinnings of cancer, this guide is for any family member who might want to understand how their shared genes affect their own short- and long-term risks factors—and whether they should be screened as well. 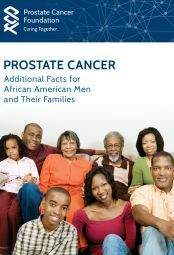 An Introduction to Prostate Cancer is designed to help men, their families, and friends quickly understand the risk factors for prostate cancer, find out how it is diagnosed, and review different treatment options. (8 pages). Long-term ADT is a cornerstone of prostate cancer treatment. There is a desperate need to better understand the physical and cognitive side effects of this treatment. Renowned expert Dr. Matthew Smith convened a global consortium of scientists and physician-scientists to contribute to this monograph using the most relevant data available. 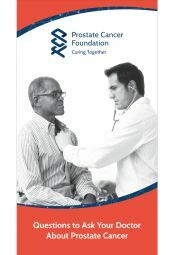 Questions To Ask Your Doctor – This slim folder comes with 7 inserts with questions to ask your doctor. Each insert also provides room to jot down the answers.